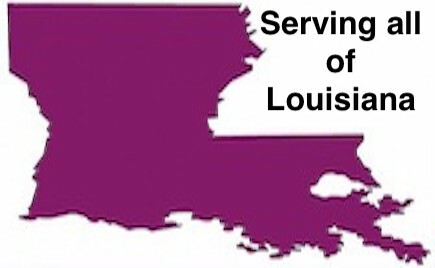 Covington, LA - March 4, 2019 /MarketersMedia/ — Barkemeyer Law Firm is pleased to announce their team is now providing statewide DWI defense representation to clients across the state of Louisiana. For over 13 years, the firm has dedicated their efforts to helping those who have been charged with crimes get their lives back on track and protect their future. With this mission in mind, Mr. Barkemeyer's aim is to keep his clients from being convicted and going to jail, help them maintain a clean criminal record, and keep them driving. "Being charged with a DWI is often a scary and confusing ordeal. Many people who have had this experience find themselves at a loss about what their charges mean and what options they have for fighting them. Fortunately, I have fourteen years of experience with that, and my team stands ready to help those facing DWI charges clear their name and their record," said Carl Barkemeyer, the Louisiana DWI lawyer at the helm of Barkemeyer Law Firm. Understanding that each client's DWI case is different, Barkemeyer Law Firm works hard to determine the details that might affect each one, including the facts of the stop and the terms of the field sobriety or breathalyzer tests, and develop a clear winning strategy to fight their charges. Their team also requests administrative hearings on behalf of their clients so that they don't lose their license and walks with each client through the arraignment, motions, trial, and sentencing process to ensure their rights are upheld and they obtain the best possible outcome. Barkemeyer further commented, "When someone has been arrested and charged with a Louisiana DWI, it's natural for them to have a lot of questions about how to move forward. The good news is that we can answer them. While some people will tell them that it's not possible to successfully fight a DWI case, our track record suggests otherwise. When defendants call our law firm, they can rest assured they'll find, compassion, expertise, and a true advocate who will see to it that they're treated fairly every step of the way." The attorneys at Barkemeyer Law Firm have over 14 years of experience defending clients charged with crimes in Louisiana. Over the course of Mr. Barkemeyer's career, he has represented over one thousand clients on criminal matters in court, including DUI and DWI, anywhere in Louisiana. With an unrivaled commitment to putting clients first, Attorney Barkemeyer's team will strive for the best result to protect each client and their future.